Evolving the Developer Experience. Again. At Heroku, we believe that great apps come from developers using tools they love. That’s why a great developer experience has always been at the very heart of what we do. 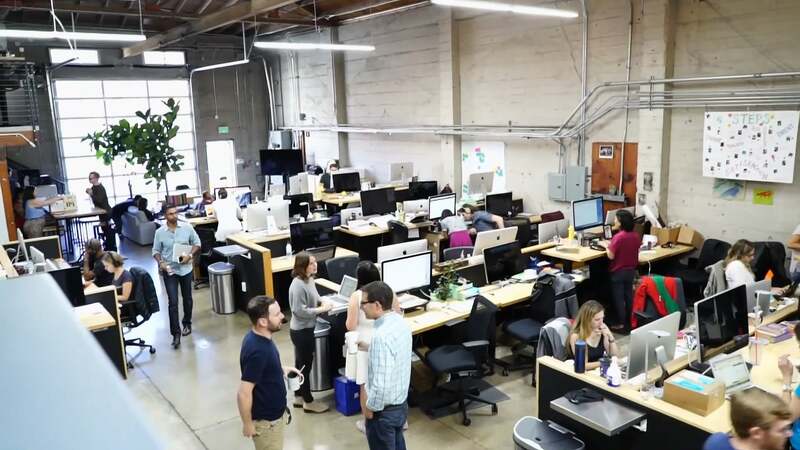 Heroku makes the processes of deploying, configuring, scaling, tuning, and managing apps as simple and straightforward as possible, so developers can focus on what’s most important: building great apps that delight and engage customers. Heroku DX pervades Heroku. Here are three developer experience features that provide better control surfaces, deeper performance insights, easier database management, and a powerful one-click method for configuration and deployment. 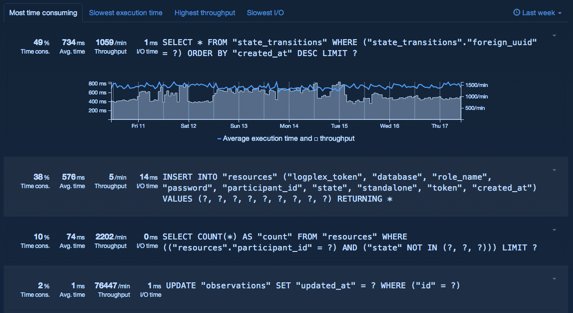 The Heroku Dashboard is at the center of the developer’s Heroku experience. Dashboard is where you manage all of your apps and organizations, scale your deployments up or down, and manage databases and add-ons. The Heroku Dashboard makes all of this much easier and more intuitive, with thoughtfully designed workflows and UI. Heroku Metrics, a feature within Dashboard available to paid apps, gives you powerful insights on the runtime characteristics of your applications, allowing you to seamlessly monitor and fine tune performance within your regular workflow. You have direct visibility into your app’s throughput, response time, errors, memory, and CPU load data, all delivered in an intuitive display designed to help you spot and resolve problems. 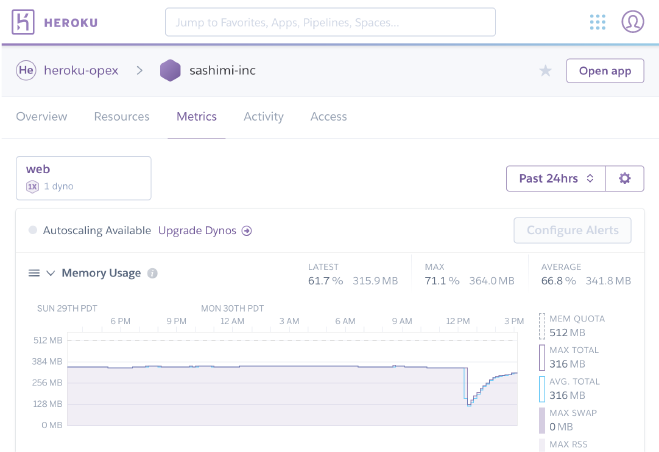 Visit the Heroku operational experience page to learn more about Heroku Metrics and other integrated features you can use to maintain application health, increase visibility, and diagnose issues. Heroku Button makes the experience of cloning code and deploying an app as easy as a single click. There are already hundreds of Heroku Buttons created — click any one of them and the source code will get cloned into your Heroku account, then the app will be provisioned, configured, and deployed automatically. Within a few seconds, you’ll have a fully-configured app there in your Dashboard, complete with database and add-ons, ready for you to get to work — as well as deployed live to the web. Got an app or a project you’d like a Heroku Button for? It’s easy to create one, just build an apps.json manifest for your app and all its dependencies, then follow a few additional steps to make it live. Heroku Postgres DbX is a set of new features added to our Postgres service which give developers a clear and easy-to-use window into their database usage, providing the visibility needed for management and optimization. The centerpiece is Performance Analytics, a set of analytics and visualization tools that allow you to understand what is happening with your database and fine tune its performance. 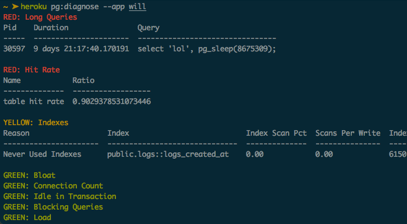 With these new capabilities you can quickly and easily identify the queries that most impact database performance, and make changes to boost performance of your app. Heroku Postgres DbX also provides continuous protection and encryption at rest to keep data safe and secure.